I have mixed feelings about this book. It was the historical setting that first drew me to this novel, and spunky Kate--with her love of books and her desire to go to college--that kept me reading. (I liked her dad, too.) I had a much harder time sympathizing with, or even liking, her mother, Charlotte. 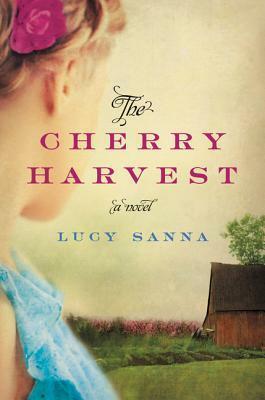 What I enjoyed most was reading about Kate's adventures and newfound romance, but the book focused more on Charlotte and the family's struggles to keep their cherry orchard going and somehow survive the hard times at home caused by the War. Then, towards the end, the story takes a much darker turn than I was expecting. So I didn't end up loving this one, though I do think it's a pretty good historical fiction read, and certainly a memorable one. Too bad it focused a little too much on an unlikable character. It does sound interesting, though, and I'm curious about this dark ending. I have a copy of this on my shelf to read, but haven't gotten to it yet. I am sorry this one wasn't better for you. I remember reading this one and enjoyed it. I agree it had a darker side and like you, wished it had ended a little differently. Too bad you didn't end up loving this one. It has a lot of "ingredients" that I like, so I might have to give it a go. Thanks for your honest review! I think it's a book worth reading; I just didn't love the ending. I hate it when a bad character can spoil enjoyment of the book. Hmmm. The darker turn than you were expecting makes me hesitant. I don't mind a darker turn, especially if the setting is during a war, but being *surprised* by dark elements--not so much. Maybe there were hints, but I did not see this ending coming; it's not completely depressing or disturbing, though, if you do end up reading it. Just unexpected.